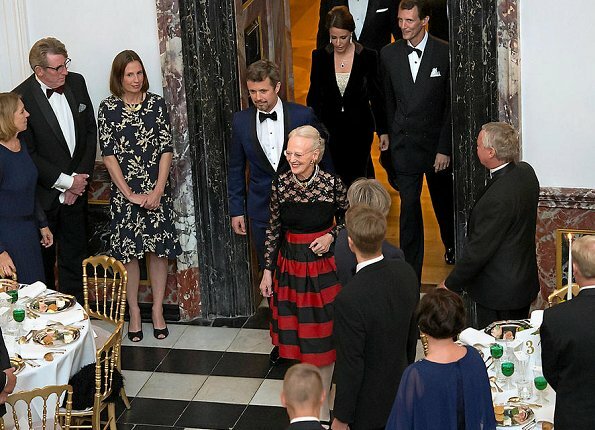 On the evening of Tuesday, October 24, 2017, Queen Margrethe II of Denmark accompanied by Crown Prince Frederik, Prince Joachim and Princess Marie of Denmark hosted a concert as well as soup in the Kuppelsalen Hall at Fredensborg Castle for representatives of the Danish food sector. I will not comment about the Queen's office. I have no words. 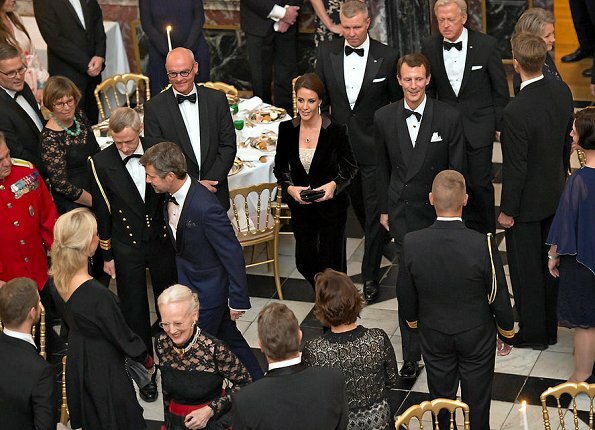 Love Marie's velvet pantsuit, but those shoes really destroy the outfit. You said just what I wanted to say! My thoughts exactly. Marie tries but somehow something is never quite right. A dark winter outfit togther with 'sandals' showing her red toe neils…… I have no further comments! Die Königin war in den 70ern jung, vielleicht liebt sie deshalb die Mode aus dieser Zeit? 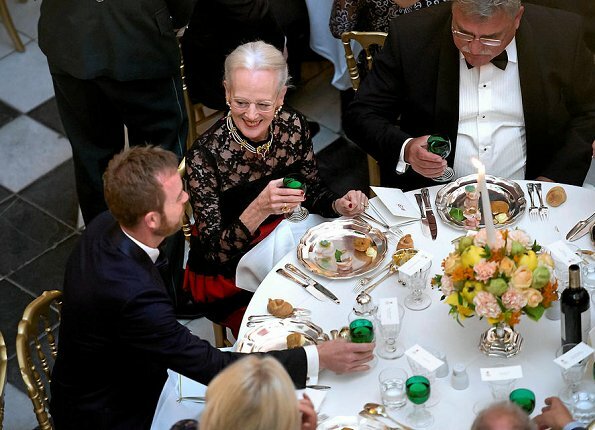 Schön ist anders, aber es gibt so viele junge Royals hier in diesem Blog, die sich noch viel scheußlicher kleiden und das noch nicht mal aus nostalgischen Gründen (bestes Beispiel ihre Schwiegertochter Marie). 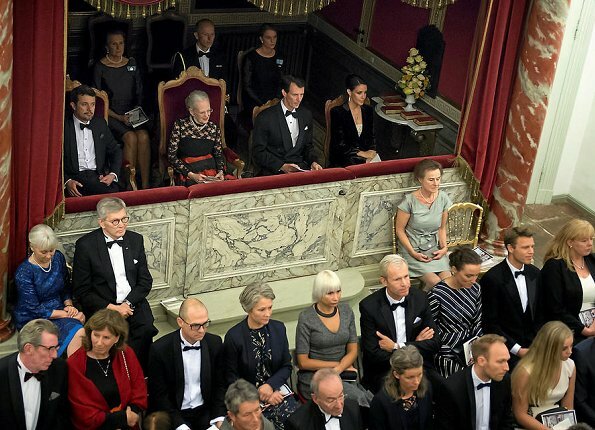 Queen M ist jedenfalls authentisch, wie ihre Kollegin aus den Niederlanden. Das mag ich. 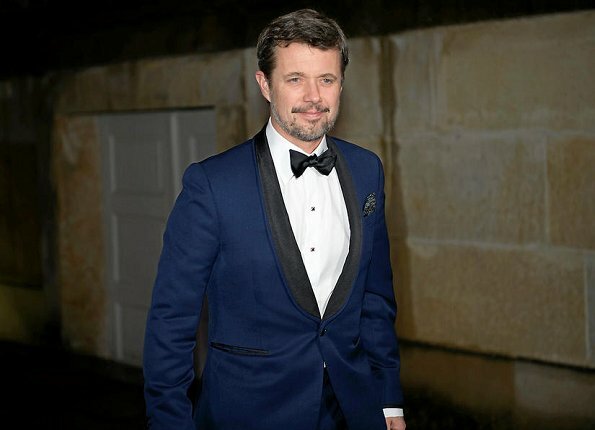 What's with almost every 'royal' man, be it prince or king, being bearded and mustachioed? 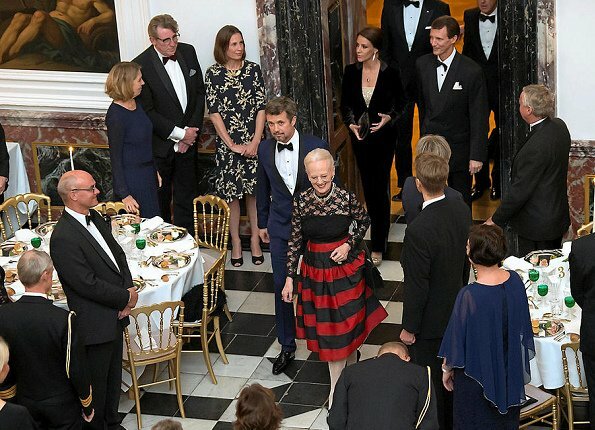 If a young, glamorous royal wore Queen Margrethe's dress, everyone would swoon. I adore it and think she looks smashing. Marie, on the other hand, is beautiful in spite of this outfit. That velvet tuxedo and platform peeptoes look like Studio 54, to me.